Lex Vick clads his arm and hand with a simple leather gauntlet. He enters his aviary just behind his house. And when he emerges, a large Red-tailed hawk rests on the end of his fist. It’s a magnificent bird with a predator’s dark gaze, a fierce angled beak, and talons with points as sharp as hypodermic needles and inclined to vice grip tendencies. She stalks and hunts her prey from the skies like a Boeing B-52 Stratofortress. She is all about power and presenting power, Lex notes. And although there seems to be a close connection between Lex and Koda, he is quick to point out she is not a pet. It’s a working relationship. They work together on each and every hunt. Lex got into falconry several years ago. He has moved from apprentice to general and will be a master in 2018. Each rank requires years of training and different levels to unlock to do more and more with the birds. He explained falconry has a long history, dating back to even ancient humans. Falconers today hunt with falcons, hawks, and other birds of prey and are trained to work with a number of different species of bird. 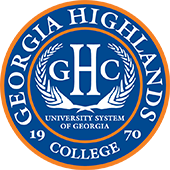 Lex is currently working on his associate in biology at Georgia Highlands College. 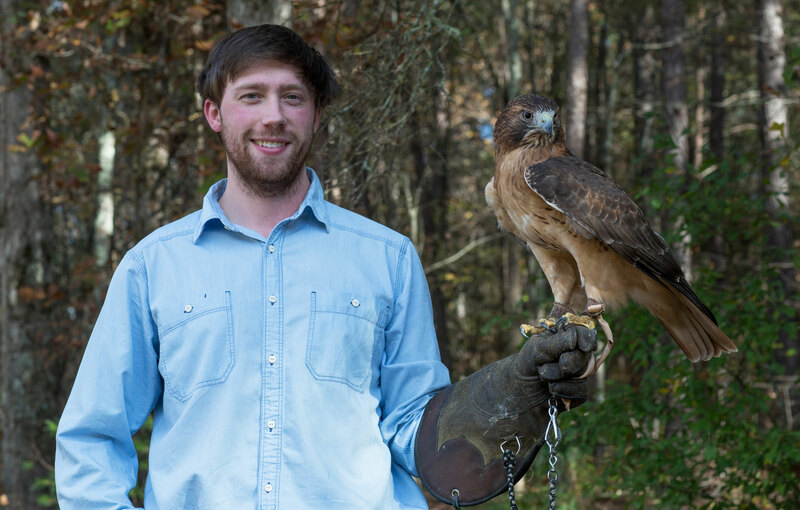 He wants to continue on to Berry College to get a bachelor’s in animal science before attending veterinarian school at the University of Georgia. He does some volunteer education events for local schools now, but feels the urge to hunt with his hawk more than anything. And although now Koda is quick to return to him with one call of her name, it took time, training, and a lot of patience to get to that point. Lex’s training required him to go through several legal steps with the Department of Natural Resources, including a test, inspections, and more. It’s an arduous process. It’s estimated there are only 5,000 falconers in the country today. Once Lex was cleared to get a hawk, the tricky part began. Lex uses a simple dome cage for trapping hawks. The way it works is he places a small animal, like a gerbil, within the dome cage. A number of floss-like tethers are arranged on the outside of the cage. Once he finds a hawk he thinks will work, he sets the cage near their hunting site and waits far away. The hawk will eventually dive onto the cage to take the animal inside, but the tethers wrap around its talons and keep the bird fixed and the animal within the dome safe. Then the training starts. Over a two-week period, Lex feeds the bird, and with each feeding, he gives the bird more distance to return to him. Once the hawk becomes accustomed to its name and knowing that its name being called signals Lex has something for it, the first free fly happens. Lex has been hunting with Koda for five years. The pair enjoy hunting in the fall after the leaves have left the trees and there is a better line of sight from ground to sky and vice versa. But preparing for the hunt is just as important as the hunt itself. Once Koda reaches her ideal weight, Lex and his dog Molly set out with her to assist in the hunt. Lex and Molly try to kick up or scare small game, like squirrel or rabbits, while Koda patrols overhead. Lex says sometimes the prey they hunt become so fixated on Molly and him, they don’t even know Koda is part of the hunting equation, giving her the element of surprise. Every bird flies and hunts just a bit different from one another. Koda prefers powerful dives and strong aerial turns, as if to flex her privileged position on the food chain just a little before the attack ensues. Eventually, Koda will be released back into the wild. Lex says even though the two of them form a slight working bond, Koda’s natural instincts will always dictate her actions. Eventually, she’ll move on to mate and hunt again on her own, and Lex will need to start over with a new bird. Any attachment a falconer has for a bird is one sided, but the thrill of working together for even a short amount of time makes it worth all the while for Lex.